Following the success of The Ginger Rogers, a grapefruit and ginger cocktail I made named after the iconic dancer, I decided to start a little series of naming cocktails after famous classical women. 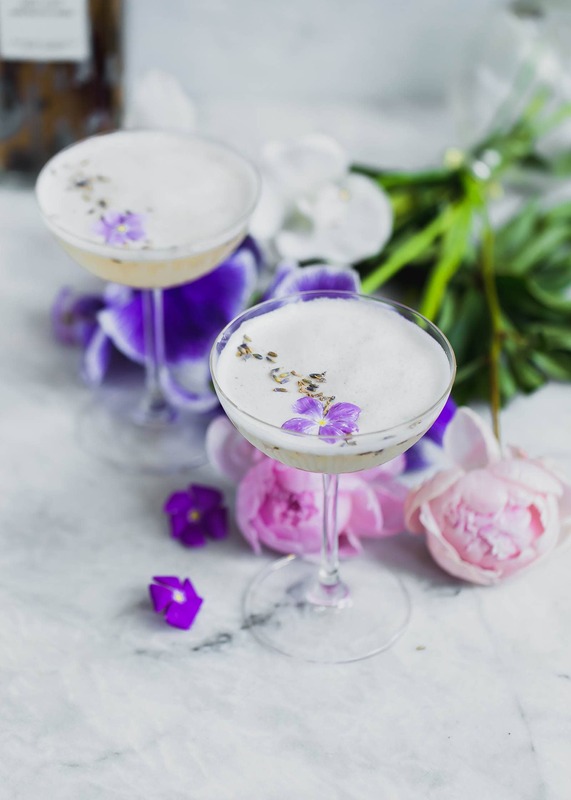 This cocktail, the Violet Eyes, is named after the one and only Elizabeth Taylor, who reportedly had violet pupils. Or at least that’s what pop culture tells me. I was so pleased with how this vodka sour turned out. 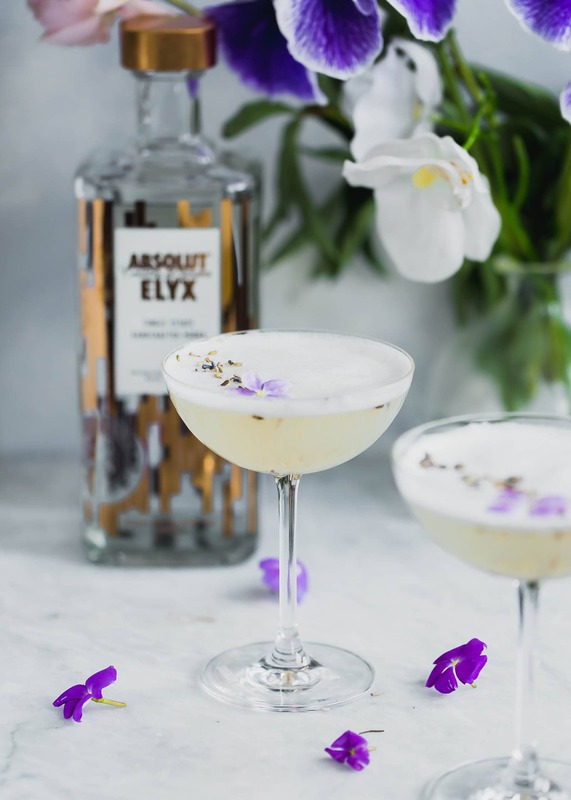 I’ve partnered with my lovely friends at Absolut on this post, and am a huge fan of their newest vodka: Absolut Elyx. It’s a premium vodka distilled in copper barrels, creating a crisp, smooth taste. It paired perfectly with the floral and tropical flavors of lavender and coconut water. And I absolutely loved having coconut water in my cocktail. It felt so light and refreshing; perfect for long summer nights. What’s in a vodka sour? Traditionally, a vodka sour combines simple syrup, vodka, and either lemon or lime juice. Sometimes bitters or other flavorings are added, but those three main ingredients are required to make it a true vodka sour. 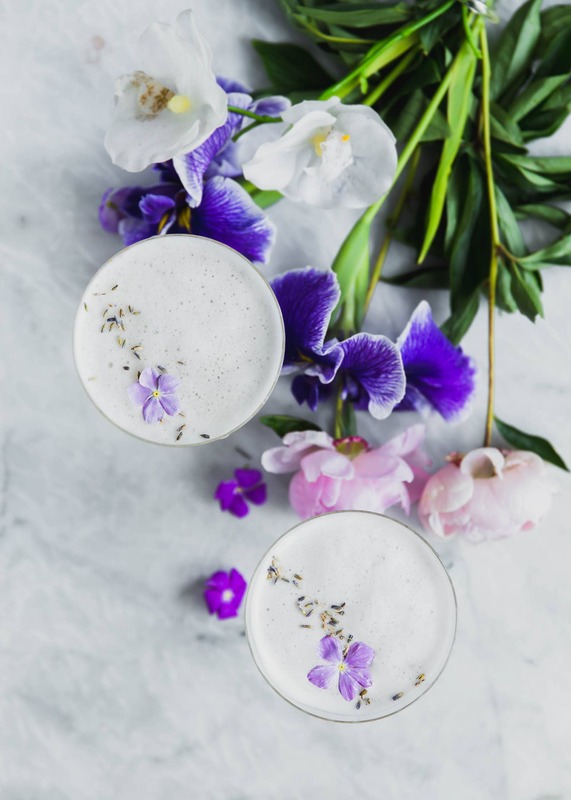 I switched up the classic vodka sour recipe a bit by infusing the simple syrup with lavender and coconut water for an extra burst of freshness. I also added a bit of egg white to make this cocktail frothy. Are egg white cocktails safe to drink? For those of you saying “wait, egg white in a cocktail? !”, well, yes. It’s absolutely amazing. When shaken up alongside the other ingredients, egg whites create a thick, frothy texture that makes this vodka sour seem richer than it is. Plus, the acidity from the lemon neutralizes any potential bacteria from the egg white, so it’s totally safe to drink. In fact, all whiskey sours use egg whites to give them that lovely froth. Make the simple syrup — Simple syrup is equal parts water and sugar that’s been simmered until the sugar dissolves. I added a few tablespoons of dried lavender to the simple syrup to give it a punch of floral flavor. 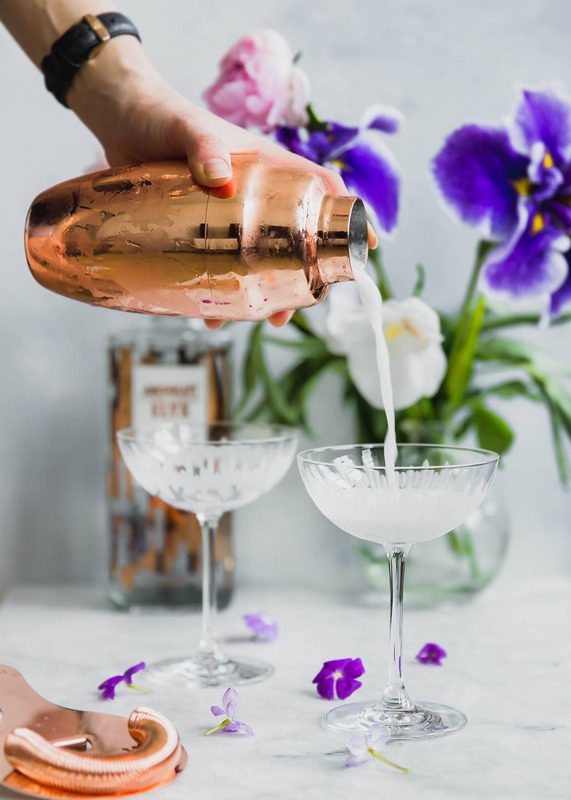 Assemble the cocktail — Add the simple syrup, Absolut Elyx, lemon juice, coconut water, and egg white into a cocktail shaker and shake until frothy. 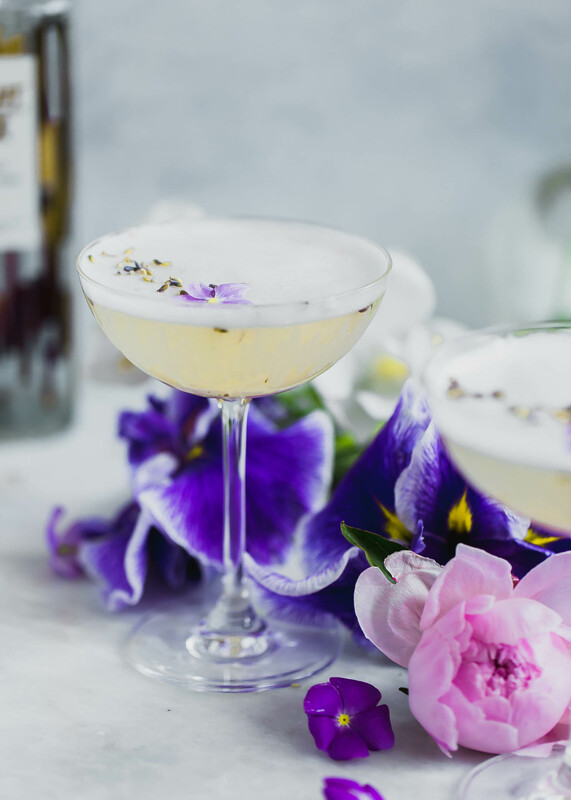 I topped my vodka sour with edible flowers and dried lavender to make it even prettier. The recipe below serves one, but it can be easily scaled up to make a full round of cocktails. Cheers! In a small saucepan over medium heat, combine sugar, water, and lavender. Allow to come to a boil, then reduce heat to low and allow mixture to simmer for 10 minutes. Remove from heat and allow to cool slightly before draining through a sieve to remove lavender buds. Fill a cocktail shaker with ice. 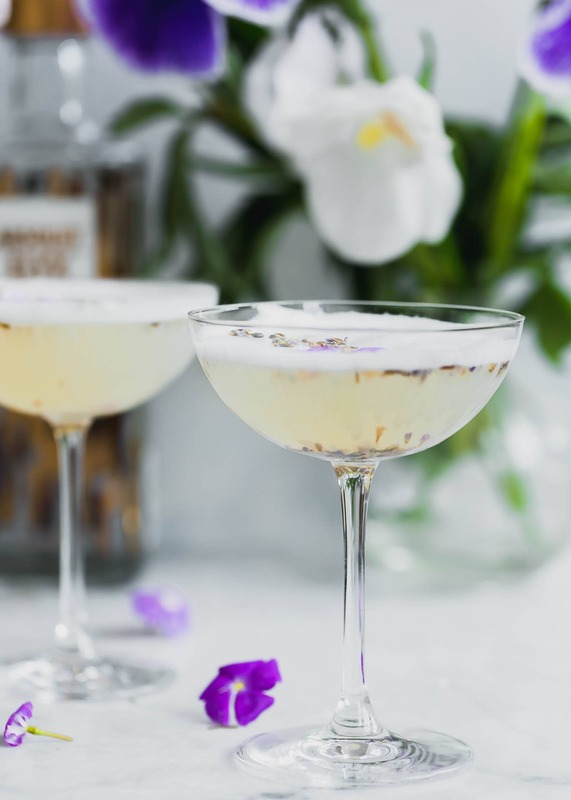 Pour in 1/2 oz of the simple syrup, along with Absolut Elyx, coconut water, egg white, and lemon juice. Shake until frothy, then pour into a coupe glass. Top with edible flowers or more dried lavender. This post is sponsored by Absolut Elyx. All text and opinions are 100% my own. Thank you for supporting the companies that help make Broma possible! Love this Sarah! I’m not very creative with cocktails and tend to always have white wine in the summer. But if you keep the celeb cocktails coming, you’ll get me out of my pinot funk, and keep the cool drinks flowing all summer long. Cheers! I love how delicate and pretty this drink looks! I love egg white drinks and I didn’t know that lemon juice is what makes it safe to drink. Beautiful, artistic photograph! Love the violets. The bottle of Absolute is a focal point as well. Reminds me of some of the whiskey ( pisco?) sours we had in Peru ?? Sarah, this is a beautiful drink! I’m all over hugs after visiting northern Italy last week. However, I don’t think the egg white safety issue is accurate. Acid may kill some bacteria but no guarantee that all will be killed in the time it takes to mix a cocktail. The best way to destroy pathogens in egg whites is heat, So would recommend a pasteurized egg white. You can find them in grocery stores near the eggs, or sometimes a dried version in the baking aisle. The risk of food borne illness is low, but better safe sipping than sorry! This is stunning! love love love the colours of the drink and the flowers! SO gorgeous Sarah! How have I not seen this vodka?? THe bottle is stunning! So creative, love the flavors. Perfect for summer! this is the most beautiful cocktail ever! Making this! So pretty Sarah! Sounds delish too! LOVING the lavender simple syrup!!! SO unique! This sounds divine!! I adore coconut water in cocktails I find it brings a clean freshness that you don’t get any other way. I’ve even taken to drinking vodka lime and coconut water instead of soda, I don’t even miss the bubbles! I was skeptical of eggwhite in cocktails until I tried it. LOVE that foamy top! this is such a lovely combo with the lavender and coconut! Love this fun cocktail. Edible flowers are so fun to work with!